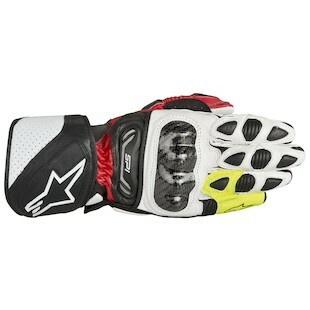 Spring 2013 will bring a glove evolution for Alpinestars. Refining the SP-1 and adding a few mech mitts to the line, Astars faithfully churns out their latest for the new year. Leading with the Alpinestars SP-1 Gloves, the notable differences include their patented finger bridge, which was missing from last year's iteration. The heel of the palm also receives some beefy padding upgrades with strategically placed gel inserts. On the back, perforated leather has been replaced by an actual mesh vent, which allows hot air to be sucked off the top of your hand as the air flows by. As always, the fingers will be articulated for comfort and a pre-curved design reduces fatigue. 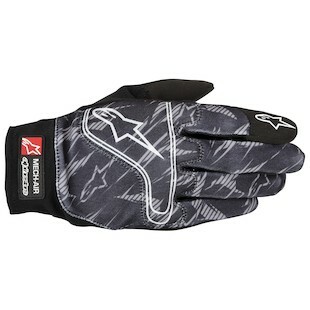 Moving on to the mechanic's gloves, we will see two options from Alpinestars. 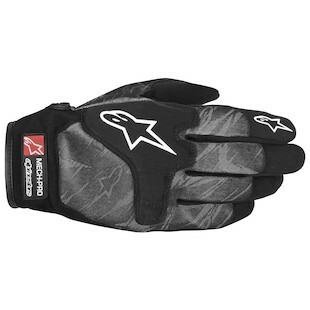 First, the Alpinestars Mech Air Gloves, which are lightweight and breathable with a spandex back and padded knuckles. The back of the thumb is made with a softer fabric for the inevitable wiping of your brow. One step up, the Alpinestars Mech Pro gloves are intended for the same garage work use, but feature more padding across the knuckle and additional reinforcement at the finger tips. If this is your niche, you can find more Alpinestars at RevZilla.com.